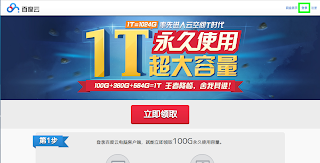 How to get the 460GB permanent space in the 'Baidu Cloud' without any charge. As you know, Baidu is the most popular company who is providing the search engine in China. 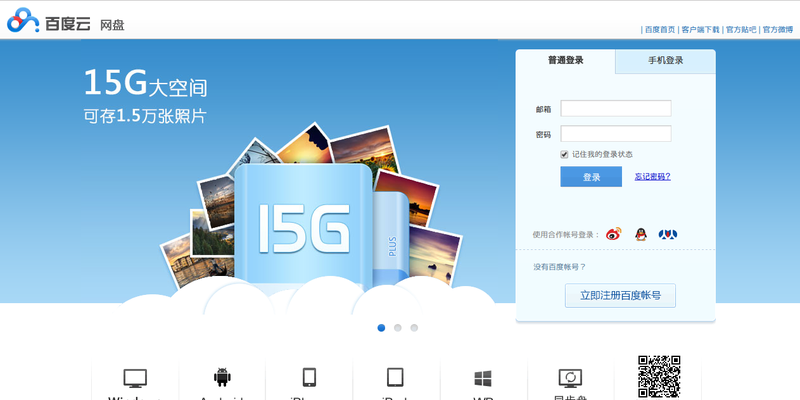 And Baidu also provides other solutions to internet users, and this Baidu Cloud is also one of their services. To put it simply, it's the service it is like the Google Drive. They provide the 15GB space to users without any charge, but if the user would like to get more space, it's basically needed suitable costs. Today, I would like to explain how you can get it. At first, you have to register the account of Baidu here. And if you don't have a cellphone in China, you have to click the tab that is marked the red frame to register it with your email address. After inputting your email address, the password and verification code, you have to click that is marked the blue frame to finish this registration. 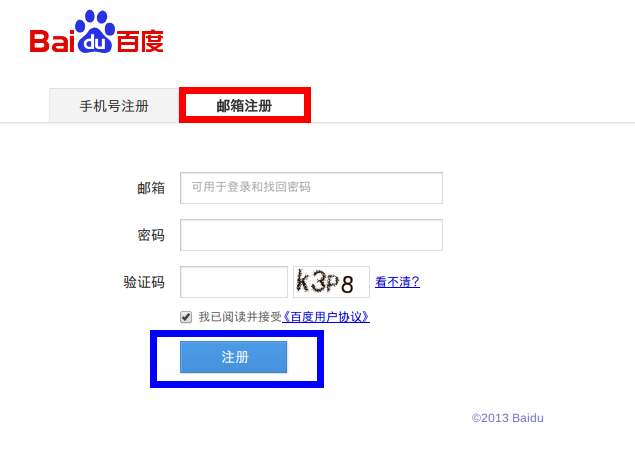 If you successfully finish this registration, go back to the campaign page to login to Baidu Cloud. To login, you have to click the green frame button at the upper right corner of the above picture. After you input your registered email, password and verification code, it means that you already got the chance to join this campaign. There are two steps to get 460GB permanent space here as follows. 1. Download its Windows or Macintosh client, and after that, access to the Baidu Cloud from its client. At first you have to click the icon of PC to download its client. *The icon of the left side is client for Windows, and the right side is for Macintosh. After downloading, you have to start its client, and have to login with Baidu account on it. 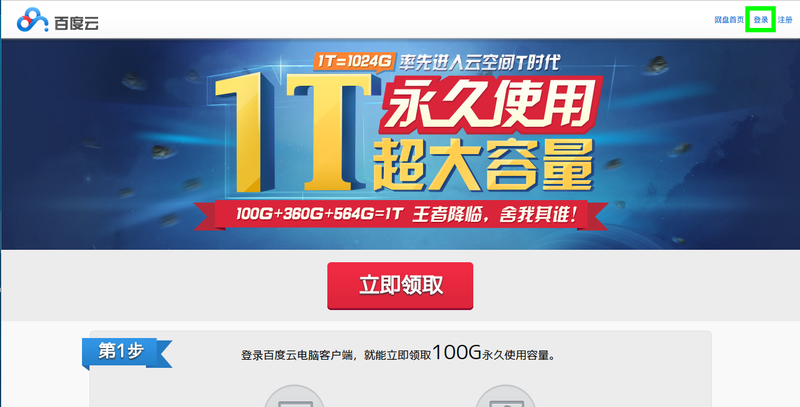 After that, you can find a popup that is written the button of "领取100G", so you have to click that button. That's all. After that, you can find that you already got its 100GB space. 2. 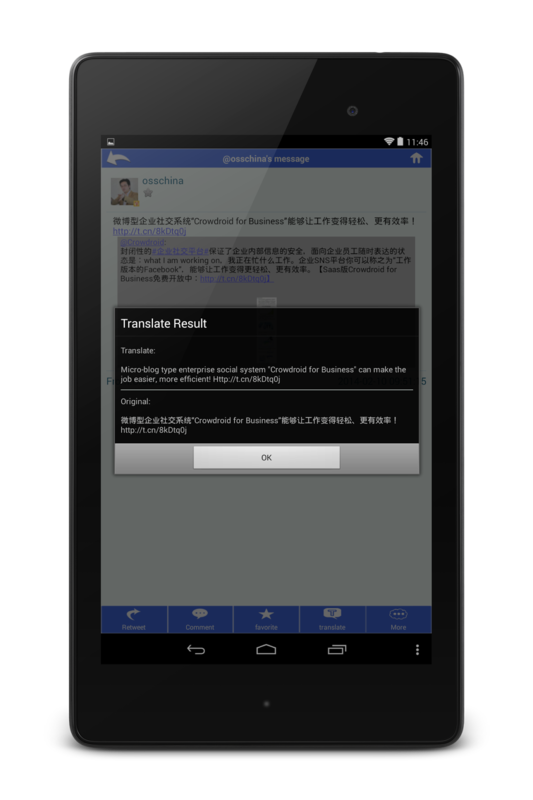 Download its smartphone client, and after that, click the blue frame button. This step is very simple. At first, you have to click the button of each smartphone picture that you usually use to download its client. *for example, the button of Android. After that, the action you have to do is only to click the blue frame button. That's all. And you can get 360GB additional space. Actually, this campaign has the three steps, and this campaign is named 1T (it means 1TB) one. But to clear the last step, you have to pay 1 RMB via electric money. I know 1 RMB is not so expensive, but if you don't have the account of bank in China or any payment cards like Alipay, you can't get it. Baidu Cloud is very useful to share files with people who lives in China. If you have an interest, let's get it! Two things that Sina Weibo have the problem.